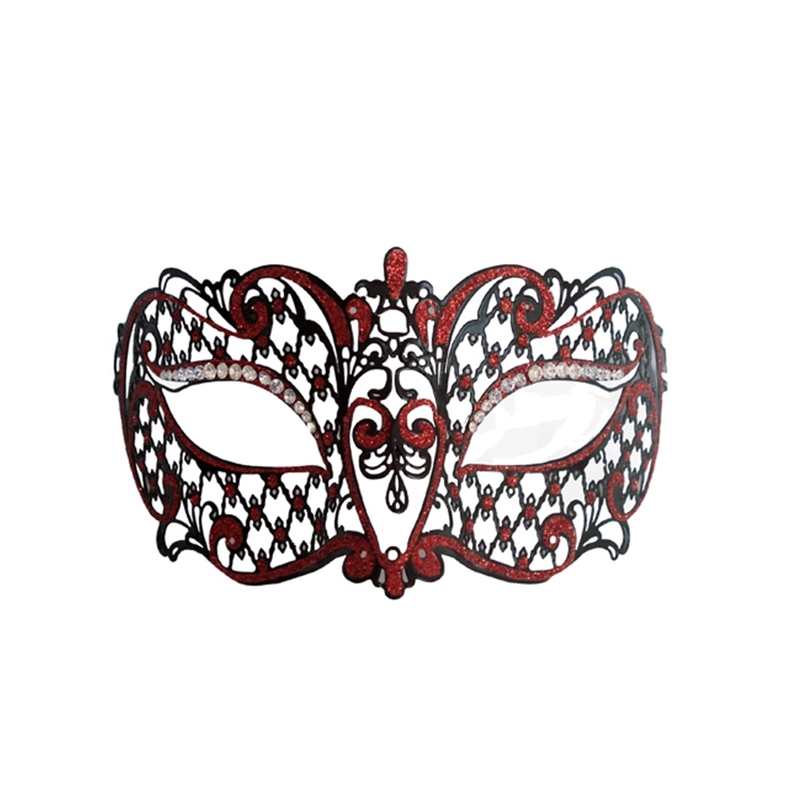 These Venetian Black With Red Accent Metal Half Mask are the newest in our line of Venetian metal masks. Each Venetian Black With Red Accent Metal Half Mask is laser cut for exception detail and quality. No masquerade ball is complete without some beautiful masquerade masks to go with it. Whether you are dressing up for your school prom or homecoming or just having a great Mardi Gras or carnival party to celebrate, you can't go wrong with our great selection of venetian masks, masquerade half masks, deluxe metal half masks or any of our full face masquerade masks.e also have a great color selection to match whatever color you may be wearing at your masquerade ball. Our collection of metal venetian masks can only be beat if you traveled to Italy. Our metal half masks are laser cut and have very detailed designs from swans to butterflies to traditional venetian mask designs. Whether you want 1 or 1000 mardi gras half masks we have what you are looking for. Be sure to order this mask early as it takes one full business day for order processing. One size fits most adults Satin ribbon ties for tight fit to face Laser cut black metal design mask with red accents Requires extra processing time, see . calculator for details Events, Dance Recitals, Deluxe Masks|Events, Wedding, Wedding Masks|Holidays, Mardi Gras, Masquerade Masks, Venetian Metal Masks|Party Themes, Masquerade Ball, Masquerade Masks, Venetian Metal Masks. Orders placed before 9am PST usually ship within the same day.